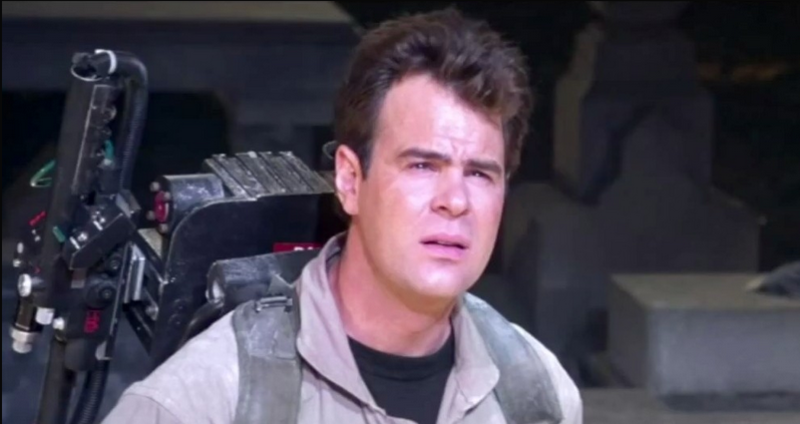 Indie Revolver Exclusive: Dan Aykroyd’s Cameo in Paul Feig’s Ghostbusters Revealed!! Paul Feig’s Ghostbusters has been shooting in Boston for a few weeks now with numerous pieces being teased by Feig via his official Twitter. We all know that Bill Murray has been VERY public about his reticence in reprising the role of Peter Venkman and Ernie Hudson has made his thoughts known about Feig’s remake. This leaves fans of the original film to wonder what role, if any, the final original Ghostbuster Dan Aykroyd might be playing. This scene described above is everything that’s wrong with the remaking Ghostbusters. Feig has previously stated his need to reboot the series, rather than create a sequel, was in order to have a fresh universe without a public that is aware of ghosts and ghostbusters, but it seems they are doing everything possible to reference the original films instead of creating something truly original. I genuinely hope that this turns out to be better than it sounds. Feig is a terrific director and his cast is top notch. I just hope they rise above creating an entire film full of references to the originals. What do you think? Are you at all excited at for Feig’s Ghostbusters? This entry was posted in Breaking News, Film and tagged Aykroyd, Dan Aykroyd, Ghostbusters, Ghostbusters Reboot, kristen wiig, Paul Feig. Bookmark the permalink. The Newest Fantastic Four Trailer Has Arrived! How is this scene”everything that is wrong” with the reboot??? Its just a funny cameo scene with an actor from the original, and it includes a clever reply to something that was in the 1984 version. It sounds like a funny scene… hardly a rip off of the original movie. If youre so butthurt about this movie then stop covering it. You dont need to twist behind the scenes stories about the production to feed your own fail fantasy about how the movie will turn out. Wait to see it before you judge, “blogger”. Sly references to the source material are fine, Bob. But when you craft a film that’s totally full of them it’s not an original take. It’s my opinion, which is allowed since it’s my site. And I’m far from the minority here, Bob. I’m not fond of them using references for the sake of references, but this seems to be a direct refutation of such, as she turns it on its head immediately afterwards. It’s kind of a win-win: they get to make the reference, but they also get to distance themselves from it. It’s everything that’s wrong because instead of making a straight up Ghostbusters movie all they’ve done is go “Hey, remember this? We have the same thing, just with stripes!” Or “We reference and nitpick the song in one of the lamest jokes we can think of!”. Wack. I’m very excited for this film. I think it’ll be hilarious. I aint going to see no Ghostbustermovie with a female cast.